The slim painted metal base supports the padded frame, giving it this particular appeal. The design is strikingly simple yet with original details, including a sophisticated matching edge. The slim painted metal base supports the padded frame, giving it this particular appeal. The design is strikingly simple yet with original details, including the sophisticated matching edge in the same colour as the frame that emphasises the perimeter of the headboard discretely. 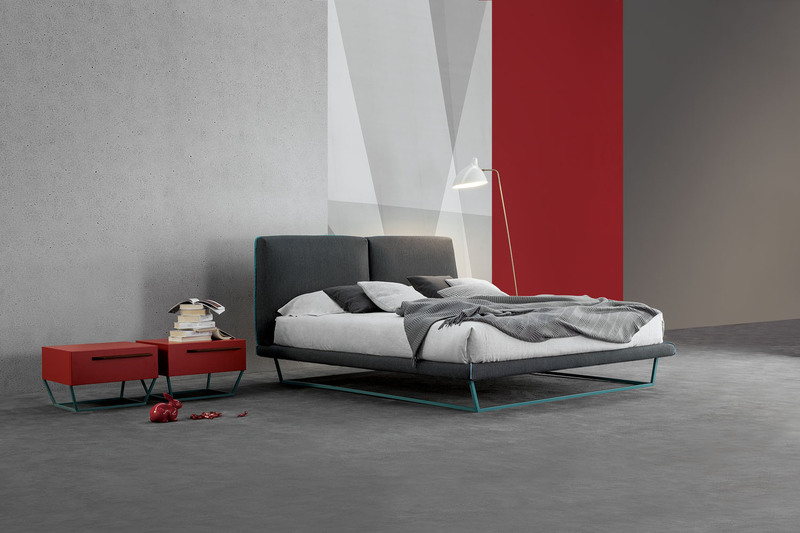 Amlet is available in the version with a single or double bedstead, with firmness adjustment. The headboard, with a wooden frame and polyurethane padding, is upholstered with fabric or leather and it is available in two different heights. 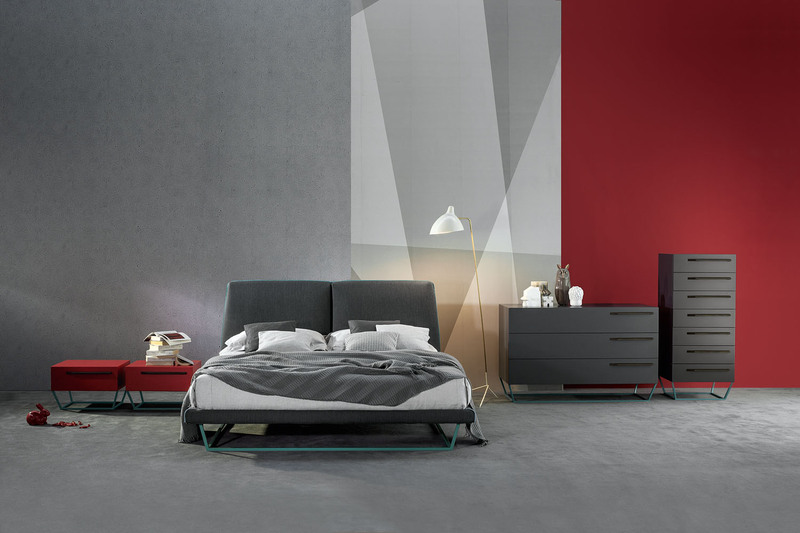 The perfect partner for Amlet is the “To Be” bedroom furniture collection: drawer chest, bedside table and highboy which recall the shapes and colours of the bed.